Motto: Do good, think good and goodness will return to us. Actor/Singer/Model. Born in Phichit, North Thailand, September 19th in 1993. 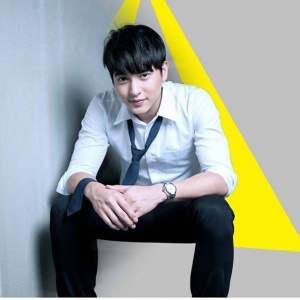 His Birth name Jirayu Tangsrisuk but go by his nickname James Ji. In 2015 April, his first photo-book (shot in Japan), “James Ji Up Close and Personal in Japan” was published. In the June, his concert “Magic James the Concert” was held. In the September, he appeared on the stage of Tokyo Girls Collection (TGC) 2015 Autumn/Winter as a guest when he visited Japan for the study of dance and singing for two months. On November 9th, his convention live is going to be held for the first time in Japan, which will gather 600 people (fans and media). In 2016 January, the broadcasting of the TV show, “Tabi Japan with James Jirayu”, started in CH.3 of the six prefectures of Tohoku region. On the 21th, he performed as a model on the stage of Yohji Yamamoto 2016-17, Autumn-Winter Paris Men’s Collection. On the March 19th, he appeared on the stage of the 22nd Tokyo Girls collection 2016 Spring/Summer, as a model. On the June, he makes his debut in Japan as singer and will release a CD from Universal Music. He is expected to be even more successful as a singer/actor who is the linking bridge of the Thailand and Japan. 7-eleven sets of stamps love Thailand. Meiji Bulgaria Yogurt (delicious every day) with Meiji Bulgaria. TOYOTA Vios (Everywhere Everyone )(V Control Go Japan). TOYOTA Vios TRD Sportivo 2014 series Driven By Style. Meiji Bulgaria Yogurt (Meiji Bulgaria Golden Honey). Meiji Bulgaria : Meiji Bulgaria The great advantage to the people who love themselves choose. What are you waiting for? Meiji Bulgaria Yogurt : Meiji Bulgaria Yogurt Drink two new flavors, you have to try! This page was last modified on 28 February 2019, at 21:11.